In Japan, toymakers are scrambling to find new customers for their products in the face of falling birth rates and a shrinking population. An important new market for toys is the elderly. 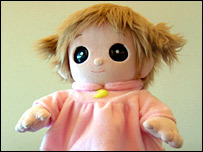 For instance, a talking toy doll has become a big hit among elderly women. Then there is elder-care technology that goes beyond the realm of mere toys.